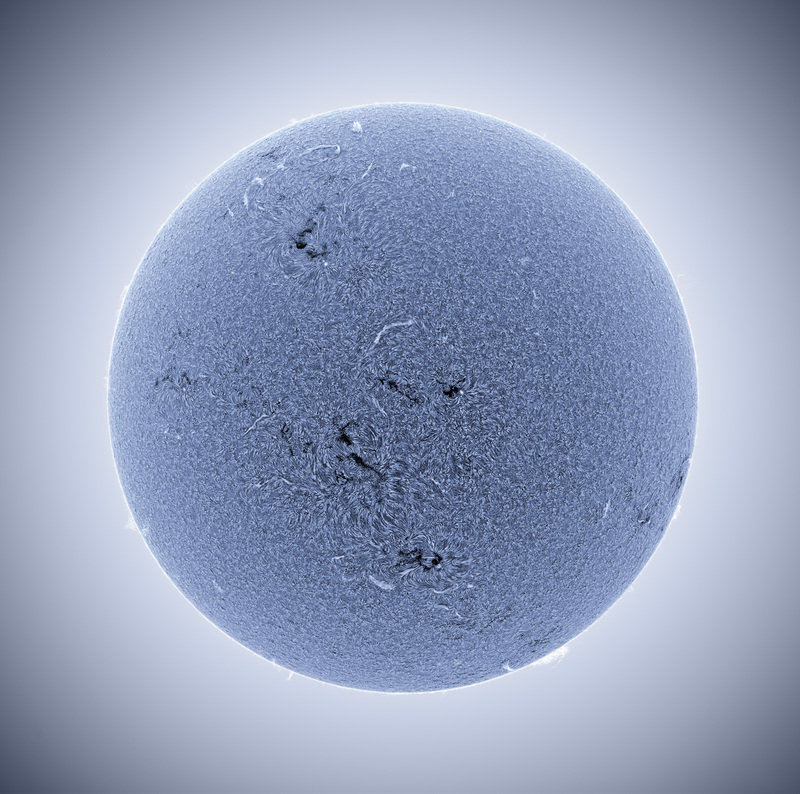 A blue tinted sun recorded in hydrogen alpha light. It is interested to compare this image with one captured during the depths of solar minimum four years ago. More recent solar images with the Coronado Solarmax90 double stacked hydrogen alpha telescope can be seen here.